The Everglades Chapter of barbershoppers (that's us!) was formed in the summer of 2010. But don't let that fact cause you to think we are new to barbershop singing. 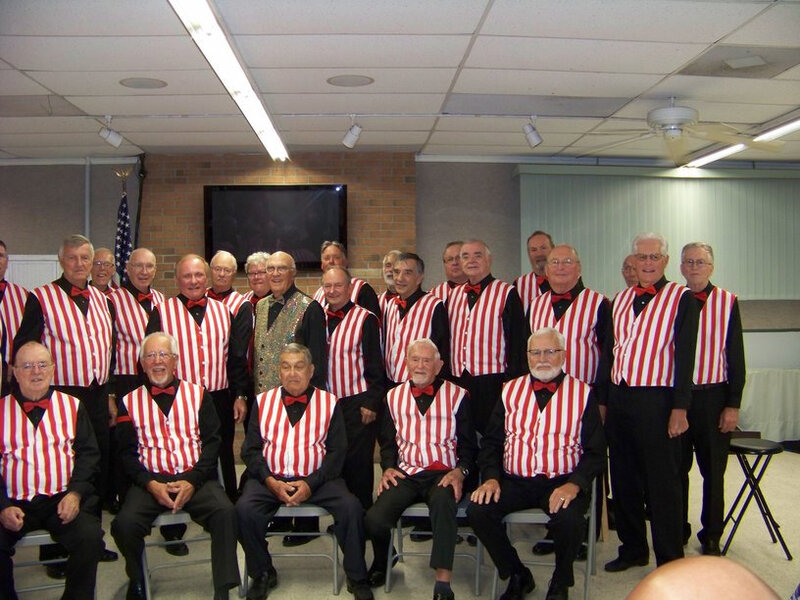 No, many of us are "old timers" who have been associated with barbershop singing for many years. We are a men's a cappella singing group. We use no instruments (except a pitch pipe) to aid us in singing our songs. In one sense we are newcomers--just like you might be if you join us--in that we have to learn our new songs from the beginning. We sincerely want you to enjoy your visit. To help you continue your enjoyment and to encourage you to consider becoming a part of our fine organization, we will provide you with a complimentary learning CD with many of our songs. We hope you will take it with you, listen to it, and consider coming back and singing with us.